Ask yourself, do you spend enough time cooking and baking with your kids? If no, is that because you’re worried about the mess they might make? If potential mess and mayhem is the reason you don’t spend enough time teaching your kids basic culinary skills, you are not alone. A survey we commissioned for our client, Persil Washing Up Liquid, found that a massive 88% of British parents avoid cooking with their kids for this exact reason. 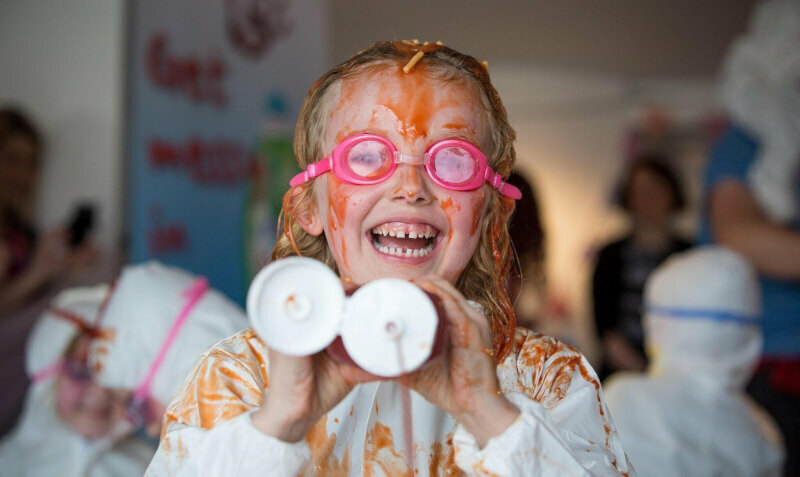 Persil Washing Up Liquid, keen to tackle the fact that fear of a little mess is restricting the fun our kids are having in the kitchen, has launched a ‘Cook with the Kids’ promise. Persil aims to get 100,000 parents to commit to spending more time baking and making a mess with their kids and has compiled a download with useful tips, recipes and fun pages to help get parents started. The ‘Cook with the Kids’ campaign ties in with the launch of Persil Washing Up Liquid’s new formula, which cleans 12% (that’s 1,400) more dirty plates than before – so you really have no more excuses for not making a mess with your little ones. You can make the ‘promise’ and be in with a chance of winning a kids party worth £500 at www.persildishwash.co.uk/cookwiththekids. Make sure you use the hashtag #PersilCookWithKids to share your best and messiest kitchen creations with others!